Have you ever thought about how absurdly amazing technology is? The internet connects us to people, cultures, and knowledge from around the world. It used to be that you would have to be in the same room–let alone the same city or continent–to be able to mix songs together. Although they warn that it’s more of a rough cut than anything else (because their chemistry on tracks has really upped its game in the last four years), they have released Ok Txt Me to the public. It is yours to enjoy. 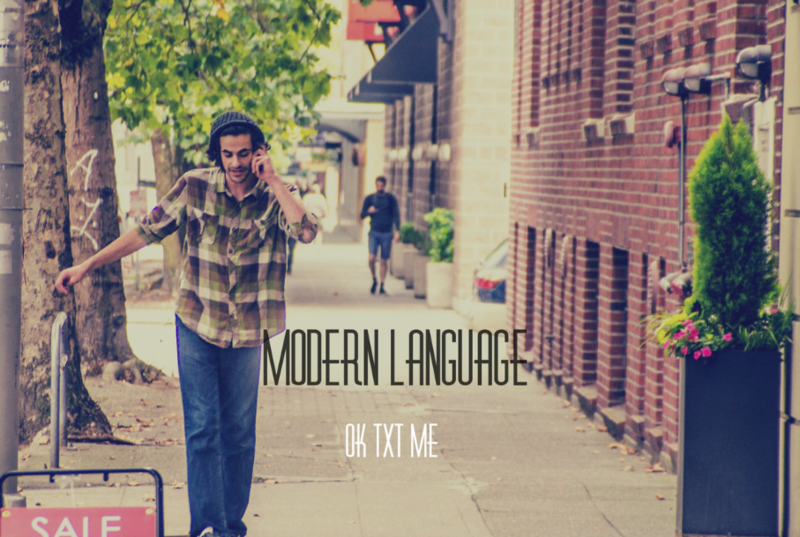 Keep up to date with Modern Language and look out for the LP this summer.